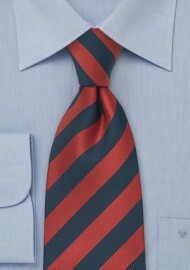 This red and navy striped tie combines a classic "business look" with a "preppy New England" striping pattern. 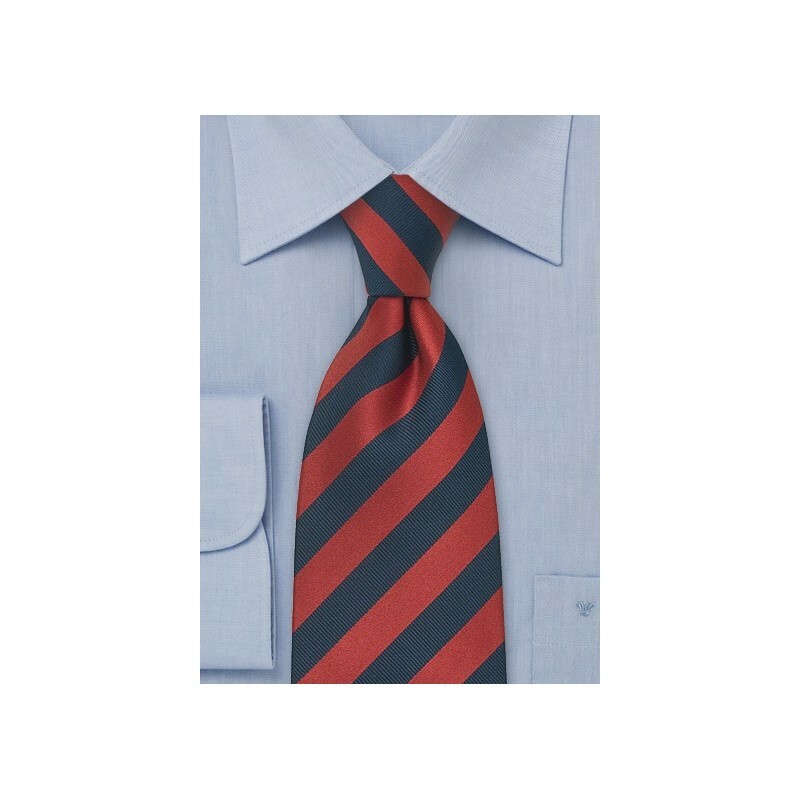 Have a closer look that the fabric pattern: A fine ribbed pattern on the navy-blue stripes add a nice texture to the fabric while the smooth silk on the red stripes give excellent shine. This tie is made purely from hand by necktie designer Parsley Luxury Neckwear - a designer known for making simple, yet truly elegant pieces of neckwear from finest fabrics.